For those of us with children, I think we have all had the experience, at least once, of knowing that we are in a situation that is harmful to our children, in this very moment, and we are currently powerless to do anything about it. A friend-turned-client called me recently, in the throes of desperation: her baby had high lead levels in his blood, and it seemed like there was so very little that she could do to keep him safe. In the end, they were able to take steps to get their family and kiddos into a safe home, and today I'm going through those steps with you. Funding Crisis - Help Needed TONIGHT! You know, dear readers, it can be discouraging when Dane County says that they don't believe in funding our services. We believe in our work, and we see that our services are unique in Dane County, and in fact all of Wisconsin. To re-energize in times of crisis, we look to our clients. You are the reason we fight to do what we do. This morning, I see an email from a family whose baby has dangerously high lead levels, a tenant who has been denied a service animal, and a landlord whose tenants have severely damaged the rental home. All these people need our help, and we will help them -- but we will need your help to keep doing it! If you read the pages that we write here, you know that many say something along the lines of, "if your problem is this, and the law says this, then write a letter and worse case scenario, sue the other party in Small Claims Court." We do this because tenant-landlord law is mostly set up for folks to go to court and get payment for losses if they can't find another way to resolve the problem. This allows a judge to make a decision about whether or not laws were followed, and who, in the end, should be paid. Often, our lowest-income clients are reluctant to go to Small Claims Court. However, they usually don't know that Small Claims Court allows low-income folks to file without paying any fees for filing or service. So, filing can be free, and the only thing you have to lose is the money you don't sue for. Hi, Everyone. Tough news today - the TRC is facing funding cuts at the Dane County level. Our county funding has been awarded to a different agency, and we believe we are the best agency to provide these services. We really, really need your help. The TRC would no longer run the Housing Help Desk. The TRC would no longer do eviction mediation in Small Claims Court to help anyone living outside the City of Madison, but inside Dane County (such as Fitchburg, Stoughton, Sun Prairie). 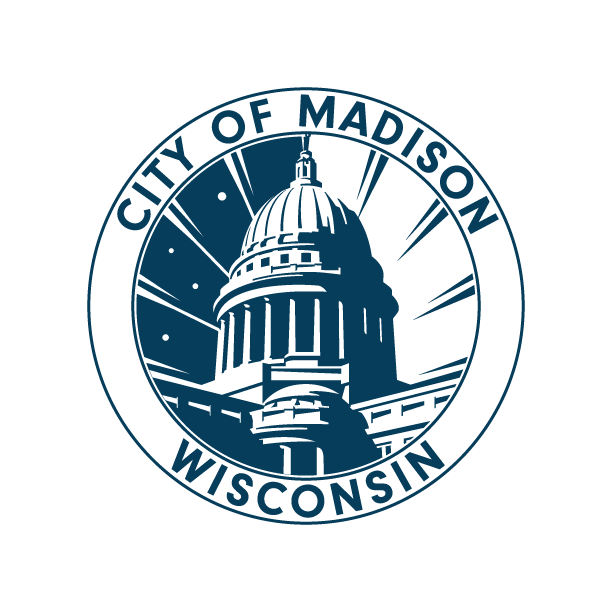 The TRC would no longer give any housing counseling to anyone living outside the City of Madison, but inside Dane County. This is so frustrating because this funding process has been so very far from transparent! The evaluations between the proposals aren't being shared until after the contracts have been signed! That means that no-one can correct any misunderstandings or dispute any fallacies while it still matters. (Explanation here, again on Brenda's blog). This really stings because we raise our own funds every year to provide these services! While most agencies ask for 17% in overhead, we eat $30,000 every year, just to be able to continue to provide these services at the Housing Help Desk. It's because we really believe in this work! We really believe that our clients deserve this help, and we really believe that all the other agencies who would try to do it just wouldn't be able to help these clients in the way that they truly need. But why are we the best at this? We believe we have the broadest knowledge and longest history of working with these clients (35 years of history!). We know, from our long experience, what works for which clients, what are the best ways to get them to the outcomes they are hoping for. While most agencies require appointments, our staff is committed to being truly available to clients, with walk-in hours at all our locations, no appointments needed. But even more than this, we are the only HUD-approved housing counseling agency in Dane County who talks to tenants about tenant-landlord law (the other agency that vied for this funding is not HUD-approved, neither for homeless services nor rental housing counseling). Beyond that, we are the ones that social workers here in Dane County call when they have a question, when they want to know what to do when their client is in trouble with their landlord, and where, if all else fails, that client can sleep tonight. We get calls from attorneys; we teach seminars statewide for police officers, sheriffs, social workers, public housing managers. We've happily invite anyone to test their knowledge against the knowledge of our staff. What we want is the best for our clients. We think they deserve it. Please go to the hearing and testify. Tell them why you believe that the TRC is the right organization to do this job. The hearings are on September 1 from 5:30– 7 p.m. at the Fitchburg Public Library, 5530 Lacy Rd., Fitchburg, and on September 2 from 5:30 - 7 p.m. at the Westside Community Service Building, 2598 W. Main St, Sun Prairie. Please email parisi@countyofdane.com and County_Board_Recipients@countyofdane.com, and tell them why you believe that the TRC is the right organization to do this job. If you want to help remove the TRC's dependence on insecure funding, then please consider donating. When repairs get really bad, many tenants get to a point where they have Had Enough. Some internal line in the sand has been crossed, and all negotiation and reason fly out the window. And they stop paying rent. Which is a terrible idea. We normally meet these tenants when they are astonished to find an eviction notice at their doors, citing them for unpaid rent. Frankly, eviction hearings are most often the result for tenants who find themselves in the midst of reactive rent withholding, and are shocked to discover that there is actually a way to withhold rent legally, or to reduce rent legally, during the time that repairs have gone un-fixed. If only they had known! But you have the opportunity, here in this very post, to learn all the things a person should know about rent withholding and abatement, so that you are as protected as you can be. Here in Madison, we're getting close to the August 15 madness, where a bajillion (it feels like) apartments turn over from one set of tenants to another. For those of you who haven't experienced this, it's mayhem. So we're trying to get all those tenants out there ready to go. Phase 1: As a tenant, protecting your security deposit as your lease is ending. This post is about the ways you can make sure your security deposit is as refundable as possible. Update from 8/5/15: The Dane County Housing Authority closed its waiting list at 2:39pm on August 4. In that time, they gathered sufficient applications that it will take at least two years to serve them all. The Dane County Housing Authority will open up their Section 8 waiting list on Tuesday, August 4 at 10am!